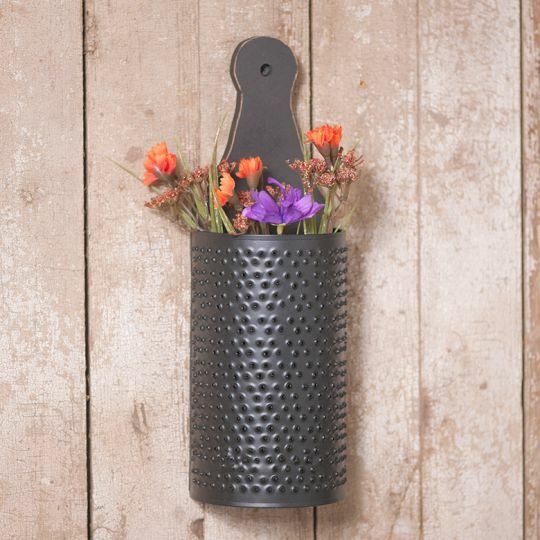 A great piece to hang in the kitchen or pantry for decoration, our Sturbridge Grater is decorative only and would be beautiful filled with flowers or greens. Imported. Smokey Black finish with wood back.